Joining our group of 8 were 7 vets and one rookie, me Phil and that is why I am writing the trip report. The 7 vets were trip leaders Debby & Jeff, Sandy & Steve, Barb, Pat and Neil. The group first met at Sandy & Steve’s house Feb 5th to go over plans for the trip. The first half hour was spent discussing the iitenary for the trip and dispensing safety advice for the rookie which was appreciated. The remaining hour of our meeting was to discuss what I quickly learned was the most important topic, dinner for Saturday night and who was going to bring what. On the recommendation of co-trip leader Debby, the theme was Italian which was quite a challenge having gluten free, lactose intolerant and vegetarian diets requirements of our group. There were no diet concerns when we were discussing what wine to bring for the meal. Funny that. 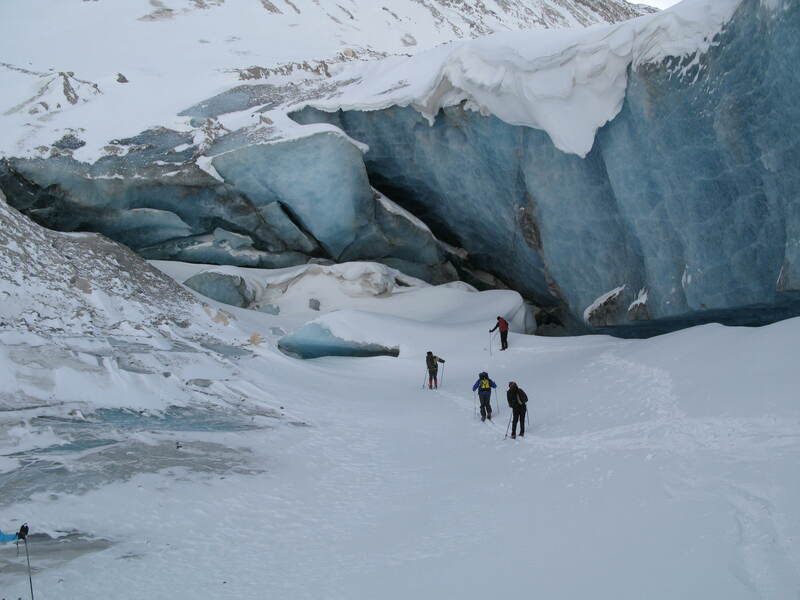 This entry was posted in Banff National Park, Mountain Tours, Trip Reports and tagged Backcountry Skiing, Cross-country Skiing, Saskatchewan Glacier, XC Skiing on 2013/03/01 by parkland. 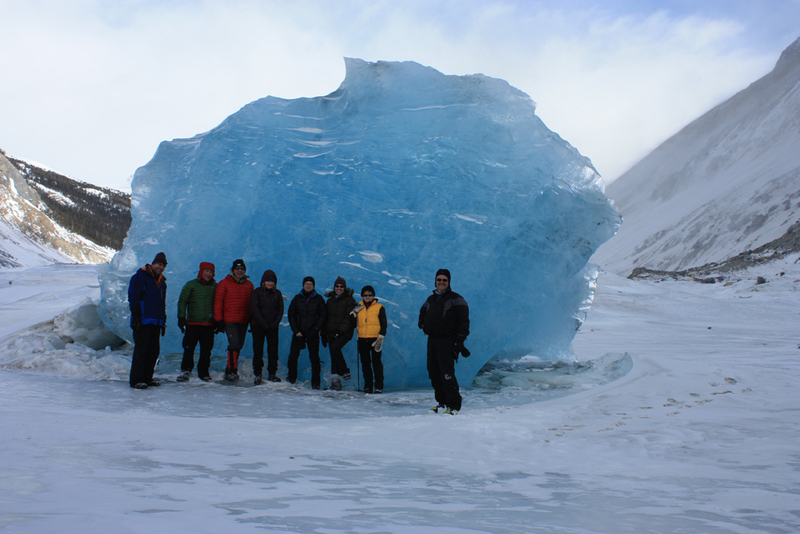 The original plan was to ski up the Saskatchewan Glacier and onto Castleguard Meadows Friday, dig snow caves then climb Castleguard Mountain on Saturday and ski back out on Sunday but plans change. Friday morning at 9:00 am nine members of the club loaded up packs and pulks at the big bend in Highway 93 and headed over the hump and onto the long approach to the Saskatchewan Glacier for the clubs final tip of the season. 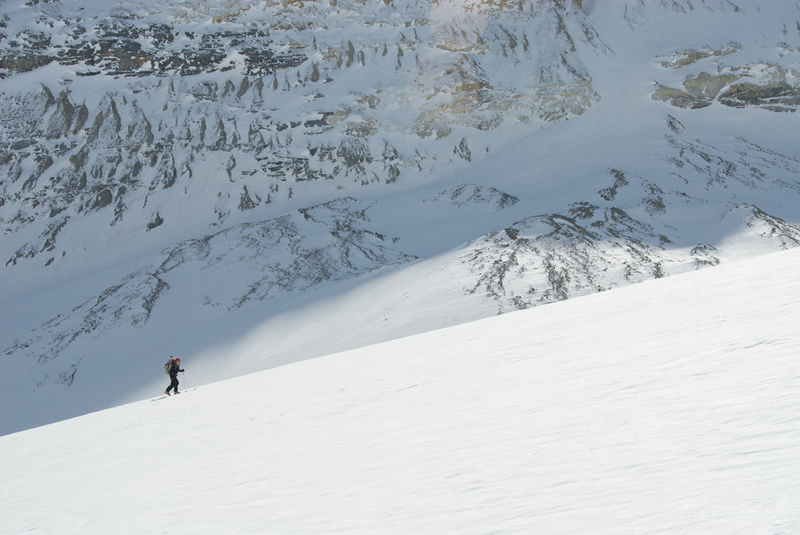 This entry was posted in Banff National Park, Mountain Tours, Trip Reports and tagged Alpine Touring, Backcountry Skiing, Castleguard Mountain, Saskatchewan Glacier, Telemark Skiing, Winter Camping on 2011/04/01 by parkland.